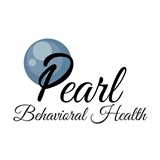 Pearl Behavioral Health (New York) - Book Appointment Online! We offer evidence-based diagnostic, medication management and psychotherapy services. We believe that everyone in need should have access to quality mental health care. VERY AFFORDABLE PAYMENT PLANS AVAILABLE for uninsured/underinsured clients. Wendy is really great, i’ve never had an issue getting in contact with her via Skype. She is always on time for our session . I would definitely recommend her any and everyone .